Dartmoor National Park’s landscape is as dramatic as its weather. From its striking granite tors to steep, wooded river valleys and from swathes of heather-covered moorland to tucked away villages and hamlets, it is a land of contrasts. Some people come to experience the tranquillity by getting away from it all, while others come to get active. Dartmoor is the only place in England where wild camping is legal, but there are restrictions on where you can and can’t camp. 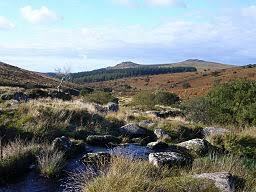 Visit the Dartmoor National Park website for more information.